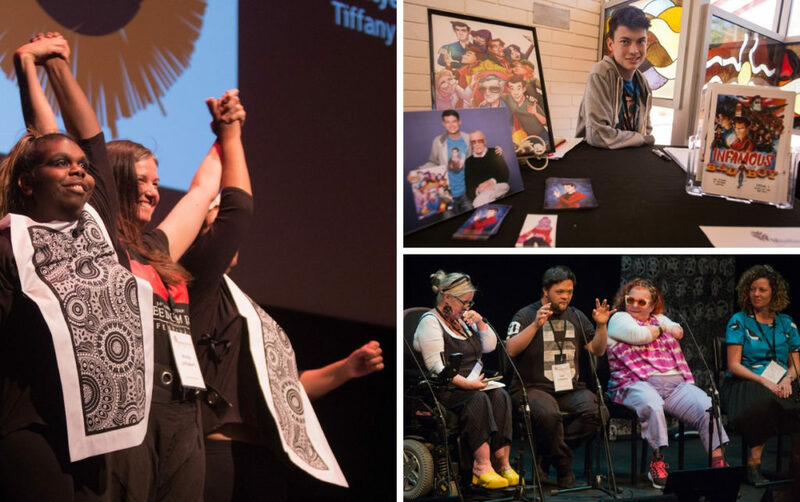 In 2018, we brought Australia's leading forum on arts, culture and disability to the very heart of Australia to discuss, debate and celebrate inclusive arts. Read on for a summary of this incredible event. 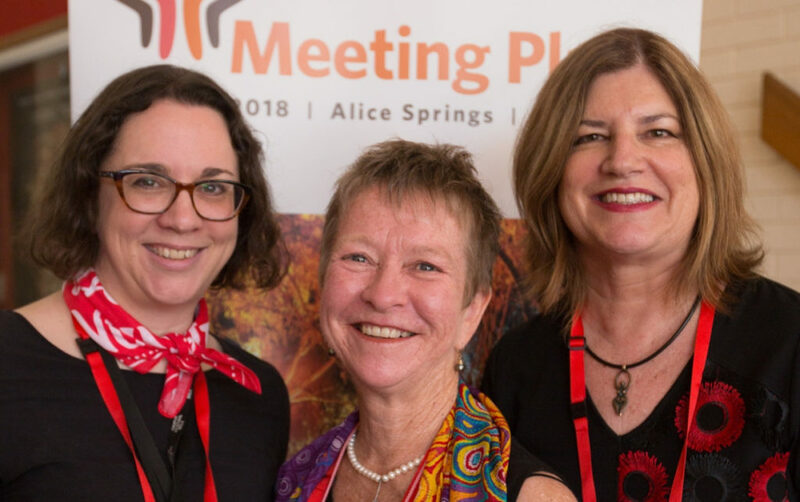 There’s a chuckle from the 150-strong crowd of artists, arts-workers, government-workers and disability leaders, who are gathered together in Alice Springs for Meeting Place 2018 – Australia’s national forum on arts, culture and disability. On stage, Western Australian actress and disability advocate Julia Hales smiles cheekily as she delivers the first line of her keynote address. For the next hour, Julia captivates the audience with stories about the inspiration for her play (love! 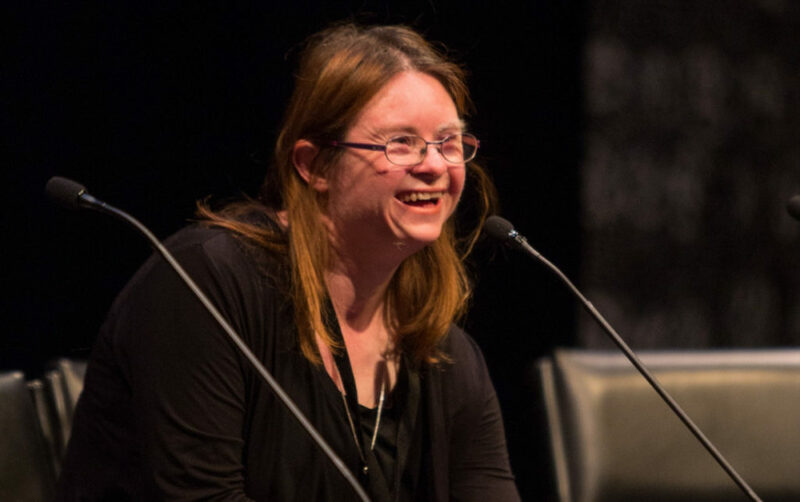 ), the incredible value of a supportive family and professional network, and her game-changing participation in a leadership program – the latter motivating her to help other people with disability to “get clear about what they want in their artist careers”. 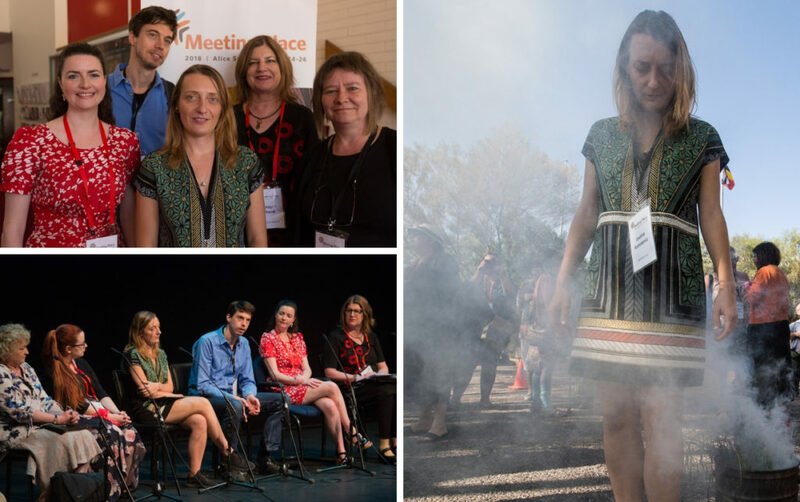 It was a powerful opening to Meeting Place 2018, which was held at the Araluen Arts Centre over three days in September, and hosted by local organisation Incite Arts. It was also the first time an artist with learning disability had given the keynote address at Meeting Place. This milestone was achieved through a decision to showcase artists with learning disability at this year’s forum. In fact, artists with learning disability made up a more than a third of the program – from panel speakers, to DJs-in-residence, to workshop facilitators. This focus on neuro-diversity created an opportunity for the forum to showcase best-practice in creating inclusive environments. Overall, around 70% of the three-day program featured artists with disability. The forum also drew heavily on local talent, with around 60% of artists and speakers hailing from the Northern Territory. 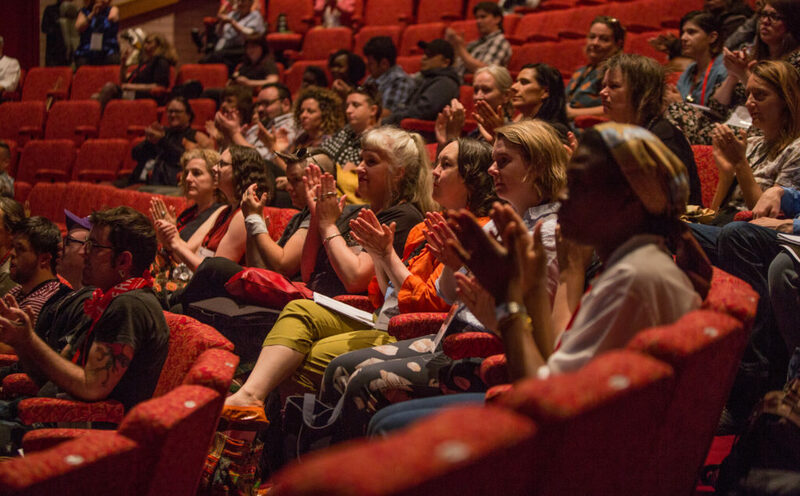 The inaugural regional location of the forum also inspired another first for Meeting Place; this year, almost half of the program featured artists and speakers who identified as Aboriginal or Torres Strait Islander. Chansey Paech MLA, Member for Namatjira, officially opened the forum. He said the Meeting Place program showed that artists and disability practice in the Northern Territory is unique. “It’s vibrant and it’s strong. I think that art is a fantastic and vital form of self expression. It allows us to interact with others and to form connections. 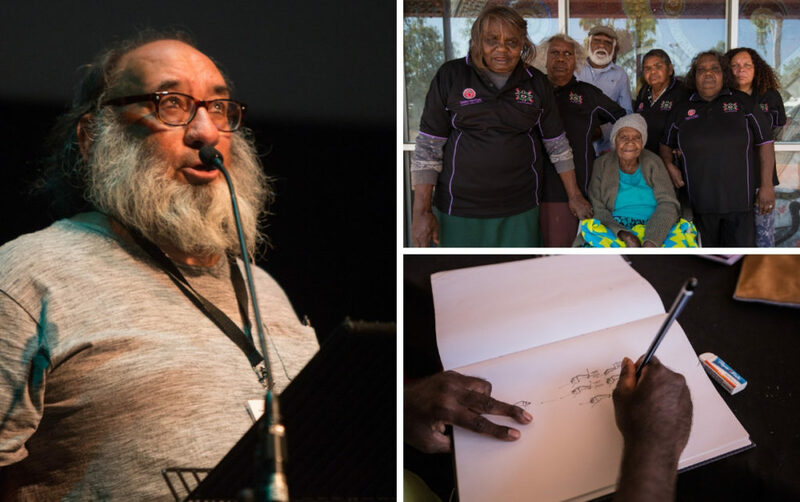 And certainly, as a first nations Australian, myself, I understand and appreciate the deep connection we have with art in the health narrative,” he said. 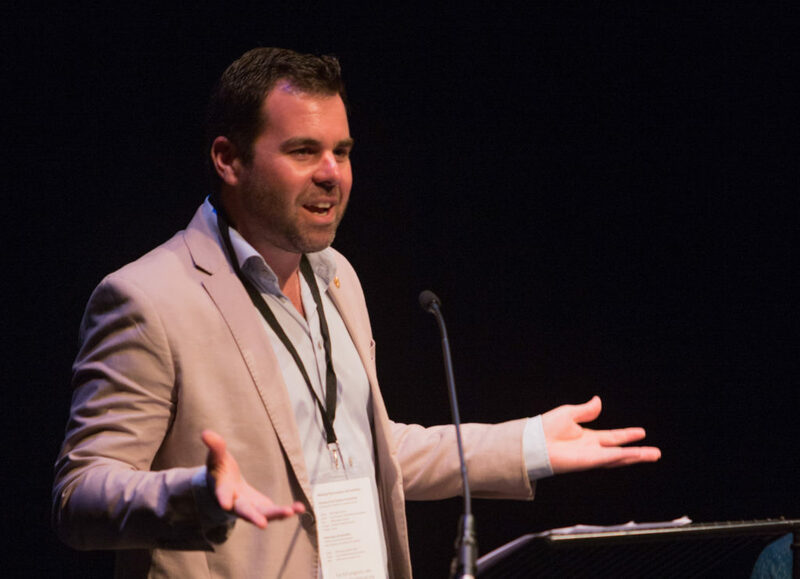 We were particularly honoured when Australia Council for the Arts’ outgoing CEO Tony Grybowski chose Meeting Place 2018 as his final public occasion, and to use that moment to announce $750k of new funding for the sector in the form of a new mentorship program and two new awards. 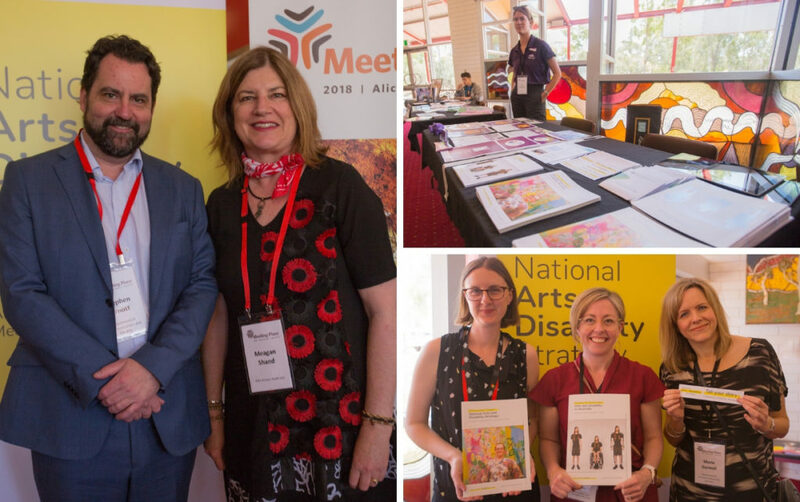 Minister for Communications and the Arts, Senator Mitch Fifeld, also chose Meeting Place as a platform to launch the official opening of the National Arts and Disability Strategy consultation period. In a welcome message provided to the forum, Minister Fifield discussed the importance of every story, every experience, and every idea towards achieving an improved arts and disability sector. Find out more about the review of the National Arts and Disability Strategy, which closes 3 December. Please visit the Department of Communications and the Arts’ website to contribute your story to the review if you haven’t done so already. Meeting Place creates opportunities for artists to travel nationally and internationally to connect with other key stakeholders in the sector. This year, eight artists and arts-workers from around Australia received a travel grant to enable them to attend the forum, thanks to funding provided by the federal Department of Social Services’ National Disability Conference Initiative 2017-18. You can read our travel grant receipient’s reflections on their time at Meeting Place. We are very excited to announce that the travel grant program will be running again in 2019 – watch this space! We were also delighted to have German artists Jovana Komnenic, Dirk Sorge and Imke Baumann attend the forum as part of the Australia-Berlin Arts Exchange, thanks to the support of the Goethe-Institut Australien. 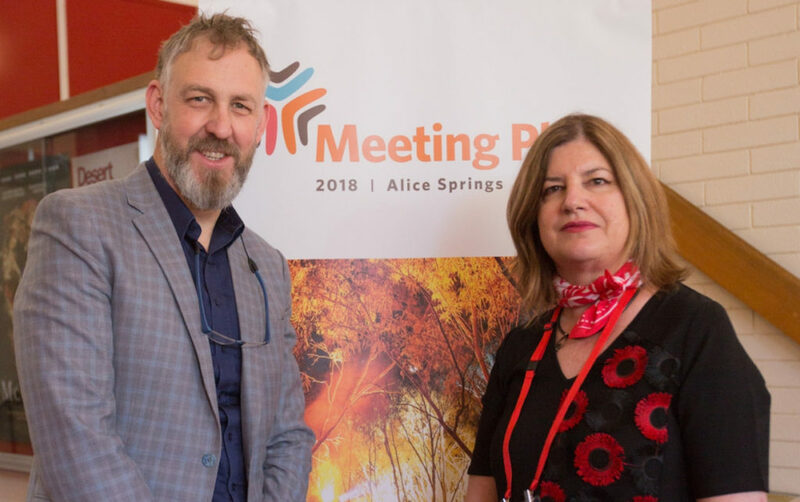 We would like to extend our heartfelt gratitude to the Northern Territory Government for supporting us in bringing Meeting Place to Alice Springs. We would also like to thank our supporting partners, the Alice Springs Town Council, Araluen Arts Centre, the Australia Council for the Arts who support Arts Access Australia. The Feilman Trust, the Goethe Institut and the Government of Western Australia Department of Communities. 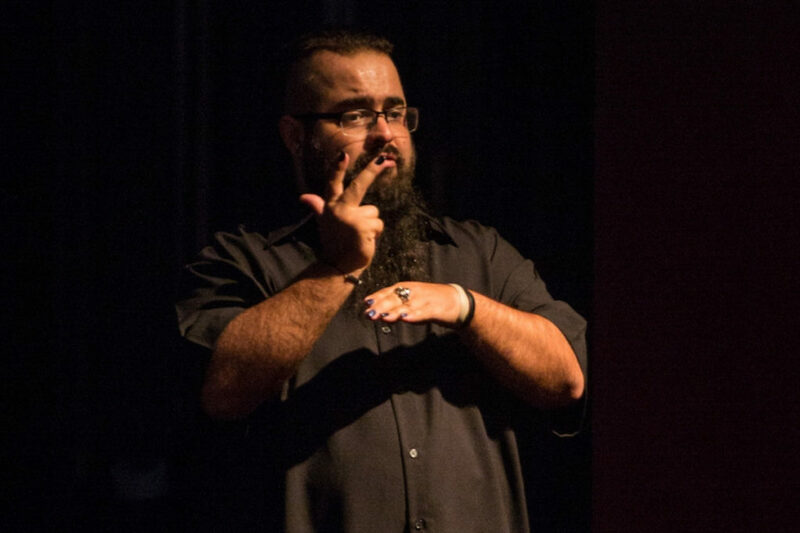 A big thank you as well to our access people: AUSLAN by Vital interpreters Alana and Steve; audio description by Carrie and Julie; and our audio captioning by Kerrie and the Captioning Studio. And thank you to our photographer Oliver Eclipse for capturing the wonderful moments had at Meeting Place, and to our videographer David Nixon from TransmediaNT, who enabled us to live-stream the forum this year in a milestone achievement for Arts Access Australia. Almost 150 people tuned in to the live stream over the first two days of the forum, and a further 150 have so far viewed the archived streams on our YouTube channel. Not only did this mean we tripled our reach, but it also brought us one step closer to achieving universal accessibility for Meeting Place. Finally, this year’s forum would not have been possible without incredible work of the Meeting Place Dream Team: Project Manager Kate Larsen, Incite Arts CEO Jenine Mackay, and our very own CEO Meagan Shand! Kate did an amazing job producing this year’s program, and Incite Arts were fantastic hosts to this year’s event. A huge THANK YOU to Kate, Jenine, and the entire Incite Arts team for your dedication and your passion. We hope to see you in 2019, as we bring Meeting Place to our nation’s capital – Canberra! Meeting Place 2019 will take place from 1-3 December as part of the International Day of People with Disability celebrations. 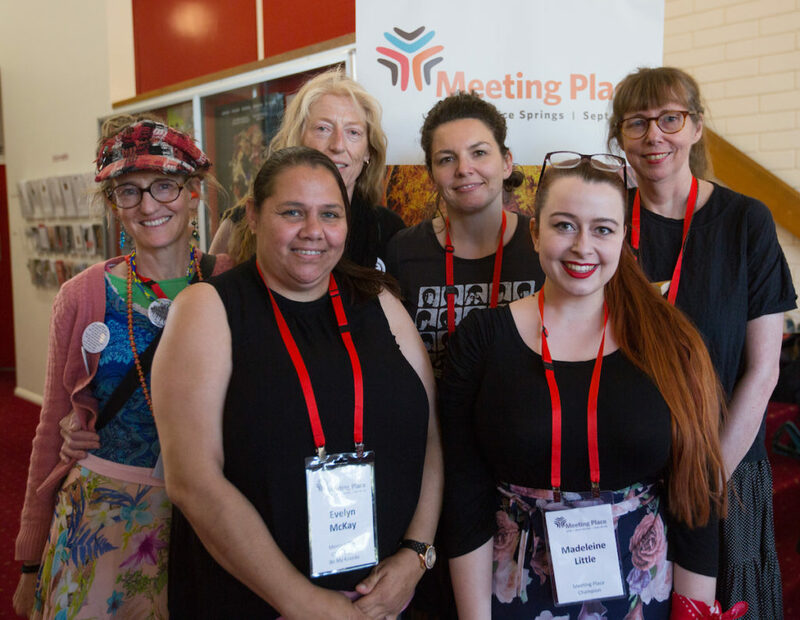 Please register your interest for Meeting Place 2019 to be the first to receive updates on next year’s, including travel grant opportunities, program information and ticket sales. You can view more images and video from Meeting Place 2018 via the official website.